Get a sneak preview of the new Pivot Gallery at the upcoming Annual NORDP Research Development Conference. This four-day event held in Bethesda, Maryland April 29 - May 1, 2015, will focus on understanding key trends in federal and private research funding and large-scale proposal development by interdisciplinary research teams. Discover what sets Pivot™ apart and makes it the research funding and collaboration tool of choice for over 400 institutions around the world by attending one of our sessions at the conference. Join Andrew Nagy, Product Manager for ProQuest Pivot, on Thursday, April 30 from 1:30-2:30pm, as he leads an interactive product session Updates in Action covering the latest enhancements to Pivot. Andrew will share recent updates on content and best practices for onboarding faculty and promoting engagement. Set to launch in June, you’ll get a preview of the new Pivot Gallery, a customizable website where an institution can quickly and easily promote its research talent, and their work, to the world. Your next stop is to enjoy a drink and some refreshments at the Idea Showcase for one-on-one interactions with a variety of presenters, highlighting a particular study, solution, or approach in poster format. Utilizing analytics from Pivot, ProQuest will be presenting statistical evidence of the increased use of targeted funding opportunity recommendations for faculty. Feedback received from faculty will be shared to provide usage data and evidence connecting the increased deployment of targeted and highly personalized funding opportunities with increased interest from faculty in pursuing grant-related activities. Cap off your NORDP Conference experience by diving into the session Opportunities to Measure the Longitudinal Research Impact of Graduate Students, Leveraging Dissertations and Thesis Data Alongside Author Identifiers from 2:15-3:15pm on Friday, May 1. Historically, it has been difficult to measure the research impact of graduate students over time without the ability to link those students back to the grants which funded their initial research. 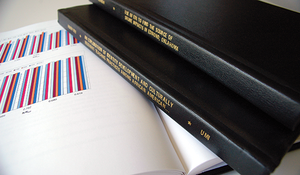 The research community has an emerging capability to track and measure the research outputs and impact of graduate students long after they have left their institution by employing past and future Dissertations and Thesis data in combination with a new class of unique identifiers, including ORCID (The Open Researcher and Contributor ID) and ISNI (the International Standard Name Identifier). Catch an early glimpse of the sensational possibilities in this presentation which will highlight data from research intensive institutions and offer a forward look at best practices for institutions wishing to capitalize on the potential of these new approaches. Presenters from ORCID, Arizona State University, and ProQuest will share lessons learned from initial efforts and prototypes, both within their organization and across research sectors and solicit feedback from attendees on how institutions can most effectively benefit from these advances and opportunities. 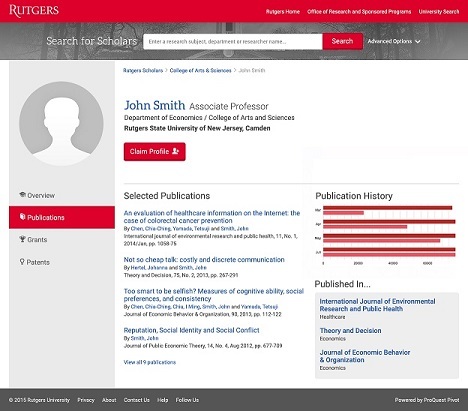 This next level of innovation around data collection will involve partnerships between the Research Office, Library, Dean of the Graduate School's office, and the scholarly publishing community and will better position institutions to meet increasingly high expectations to demonstrate research impact. With Pivot – ProQuest’s web-based discovery and workflow tool – researchers, faculty and research administrators can easily explore new avenues for funding, view funding opportunities uniquely matched to their scholar profile, collaborate with colleagues, and manage the results of the process to build a funding strategy. Pivot combines a comprehensive source of global funding opportunities with the largest collection of scholar profiles into one powerful and intuitive solution helping researchers effectively collaborate with their colleagues and quickly discover the right funding opportunities. We look forward to seeing you at the conference and don’t forget to visit us at the Pivot booth! To learn more about the conference and view the complete schedule, click here.